The Federal Reserve has raised a key interest rate for the third time this year in response to a strong U.S. economy and signaled that it expects to maintain a pace of gradual rate hikes. WASHINGTON (AP) — The Federal Reserve signaled its confidence Wednesday in the U.S. economy by raising a key interest rate for a third time this year, forecasting another rate hike before year’s end and predicting that it will continue to tighten credit into 2020 to manage growth and inflation. The Fed’s actions and its updated economic forecasts Wednesday had been widely anticipated. Initially, there was little reaction in the stock or bond markets. But later in the afternoon, stocks sold off, and major indexes closed modestly lower. “The Fed stuck to script today, pushing ahead with another rate hike,” said Michael Pearce, senior U.S. economist at Capital Economics. During a late-afternoon news conference in New York, President Donald Trump said he was “not happy” about the Fed’s latest rate hike. In a highly unusual move for a president, Trump has publicly complained that the Fed’s rate increases could blunt his efforts to boost growth through tax cuts and deregulation. 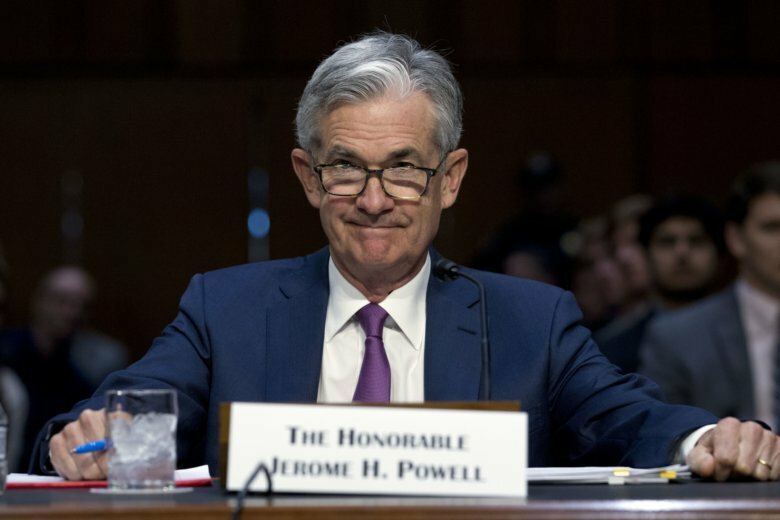 Earlier, Powell said during his news conference that such outside criticism would have no effect on the Fed’s use of rates to try to maximize employment and stabilize prices. The Fed’s latest forecast predicts that the unemployment rate, now 3.9 percent, will reach 3.7 percent by the end of this year and then 3.5 percent next year. Not since the late 1960s has unemployment fallen that low. Indeed, the Fed’s regional banks have reported that some businesses are delaying investments until they see some resolution to the trade hostilities. In his news conference, Powell said some companies have told Fed officials that the tariffs have raised fears that supply chains will be disrupted and raw materials will cost more. Powell said he had yet to see evidence that the administration’s tariffs have raised prices for many consumers. But he said rising inflation remains a threat resulting from Trump’s trade policies.